Pay Monthly and Finance your new website purchase with us! You are here: Home / Pay Monthly and Finance your new website purchase with us! Finance your new website with our Pay monthly packages! Our website pay-monthly finance packages will mean that you will now be able to afford your own pay monthly online business that will enable you to become the internet entrepreneur you have always wanted to be even if you are on a budget or a low income. So if something interests you and you can afford to pay for it all in one go at the moment, just let us know and we will do all we can to be able to split the payments up into affordable monthly payments for you. 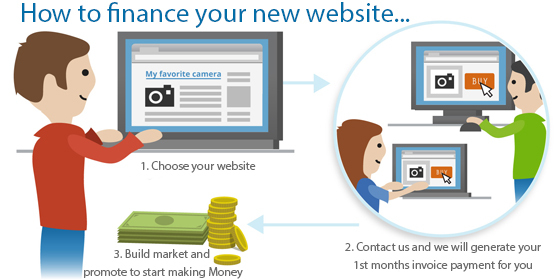 Finance and pay monthly for your new website with us TODAY. To get started, just click here to choose your website, then contact us and let us know that you would like to pay by finance for that. Q. What exactly is website finance? Q. Am/ Will I be eligible to finance my website? A. In short, YES. We have no particular qualifiers as to who we let finance a website for us. Nor do we have any lengthy application process. YOU know your finances, and if you say you are able to afford "X" amount per month, then that is fine by us. Q. Over how long can I spread my monthly payments? A. You can spread your monthly payments over between 3 and 24 months depending on how much you can confortably afford to pay each month. Q. Will I actually own my website? A. Yes you will fully own your website once the last required payment has been received for that. Q. What can I finance with you? A. You can actually pay by monthly finance for anything on our website over $100. 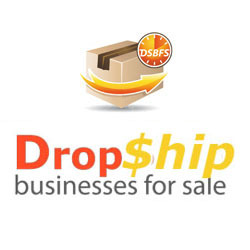 This includes our website promotion packages as well as our guaranteed income businesses. A. Due to the nature of our business and the types of digital products that we offer, refunds and returns are not usually possible once you have opted to pay monthly for a product. Q. How do I start to finance my website with you?